Twin Palms Publishers, Santa Fe, 2013. 78 pp., 57 color illustrations, 9x13". Gomorrah Girl tells two stories in one, the problems of growing up in a crime-ridden area and the murder of Annalisa Durante, a young woman caught in the crossfire of a Mafia shootout. The stories are brought together through innovative, book within a book, design. 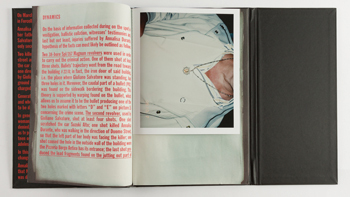 Bound together are Spada's photographs documenting adolescence in the land of Camorrah (the name for the Mafia in Naples) and pages detailing the police investigation.